Prestashop Ajax cart pop up module shows a responsive popup on "Add to cart" action that has many advanced features not found in default popup. 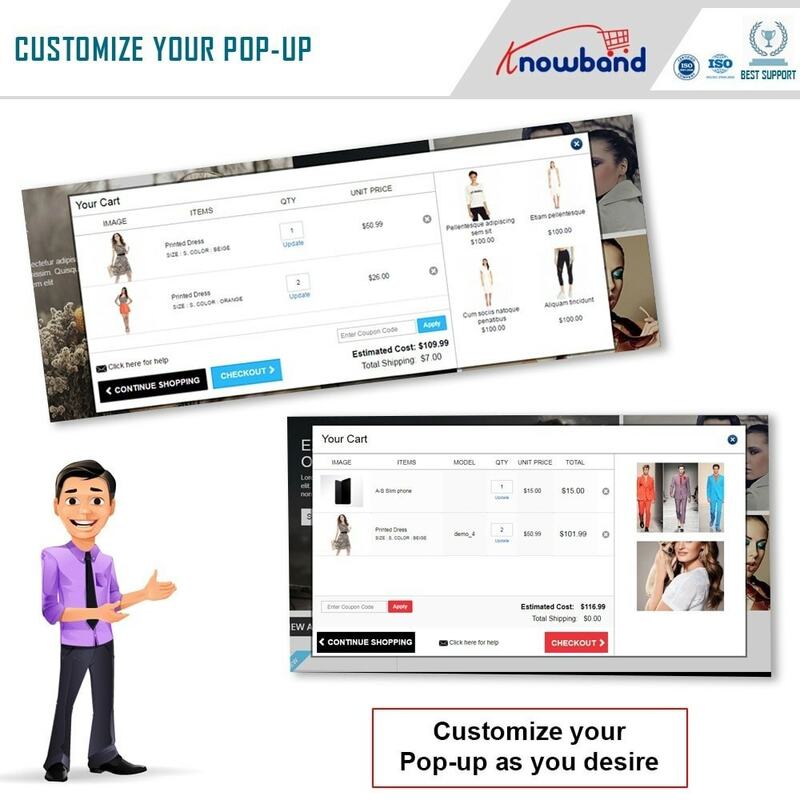 It's fully customizable and admin can show banners, related products, and best sellers in the popup. Prestashop Ajax cart popup module is an all-in-one solution for eliminating the checkout distractions by providing a well-optimized Shopping Cart. Prestashop Admin can improve site's shopping UX by using this dynamic Ajax based Shopping cart in minutes. 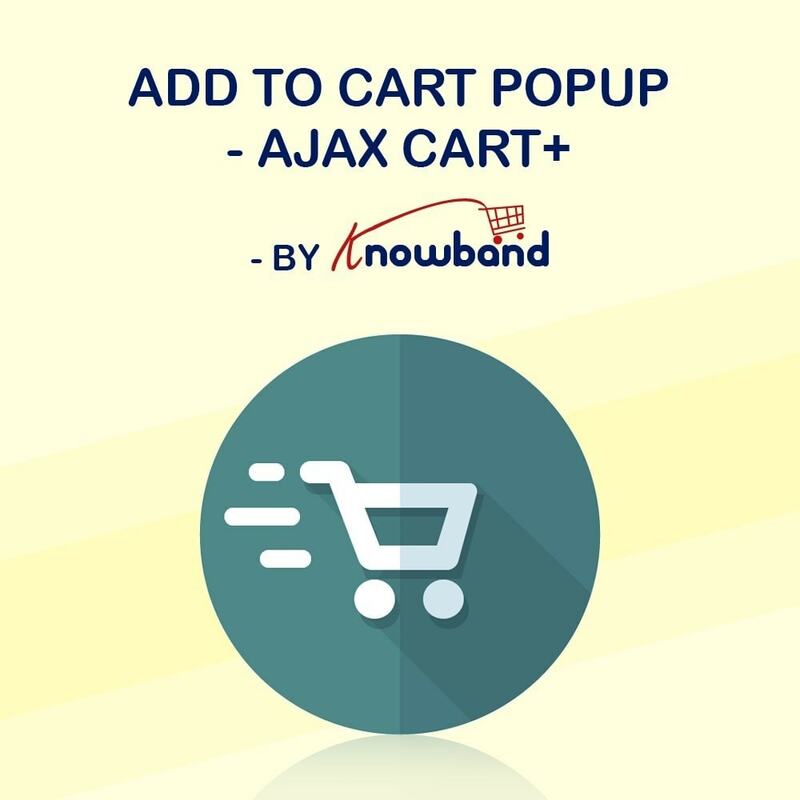 The responsive Ajax based cart popup addon provides a detailed shopping cart information with the option to update product quantity, apply a coupon code, remove a product, see estimated cart cost and shipping cost right inside a single ajax popup. 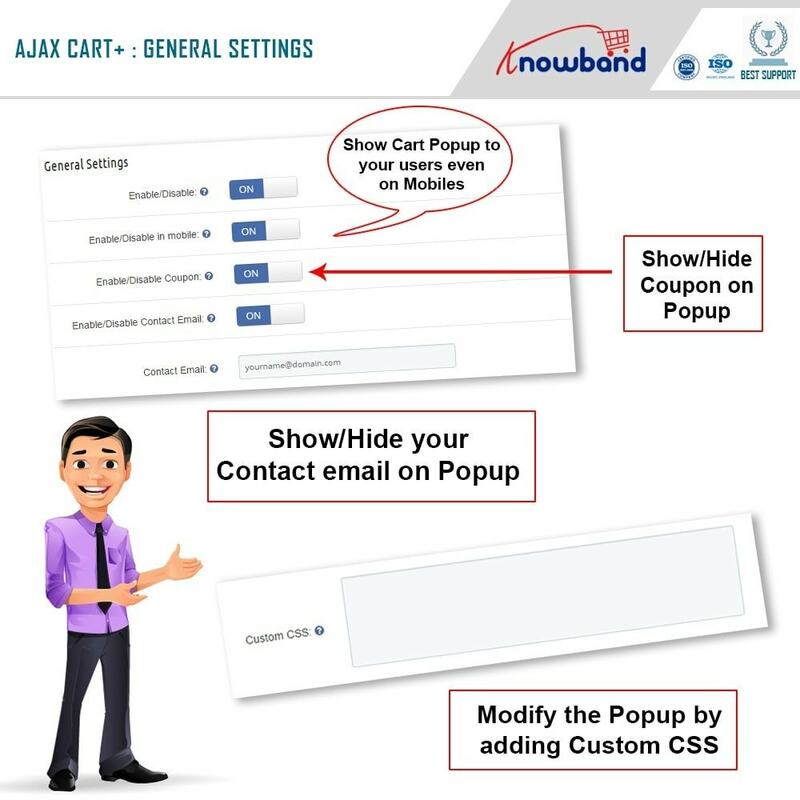 Moreover, Ajax cart popup addon can also show related products in the popup, increasing the chances of conversion for other products too. A clean, clear and detailed Shopping Cart can increase the conversion rate by 7%. Prestashop admin can also show Related Products in the popup. 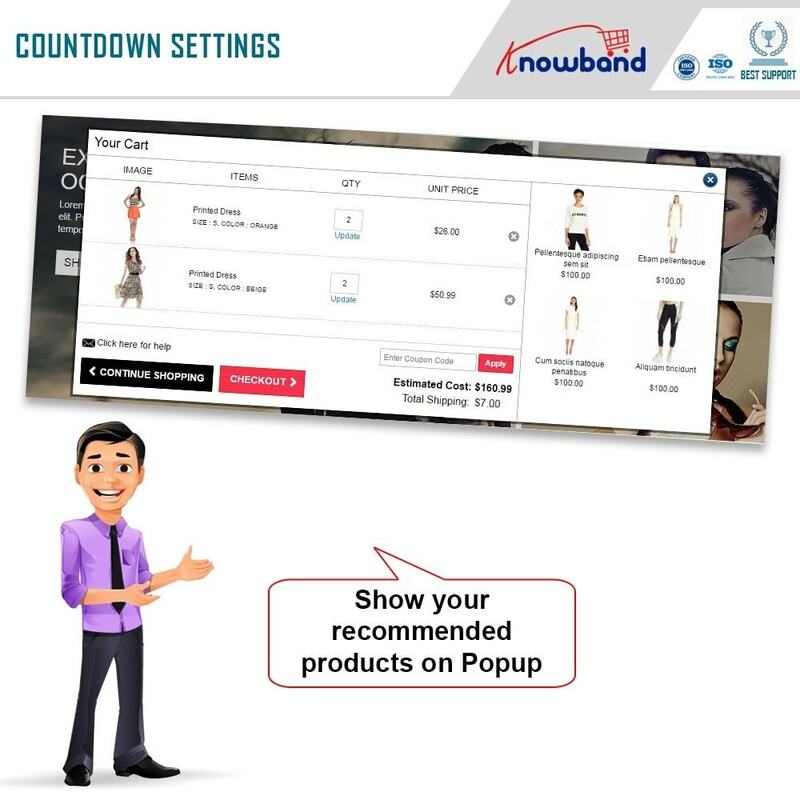 Prestashop admin can also show best sellers products in the popup. Prestashop admin can show Offers & Banners in the popup. Prestashop admin can enable or disable popup only for mobile devices. Prestashop admin can show coupon code field for allowing shoppers to apply coupons right in the popup itself. 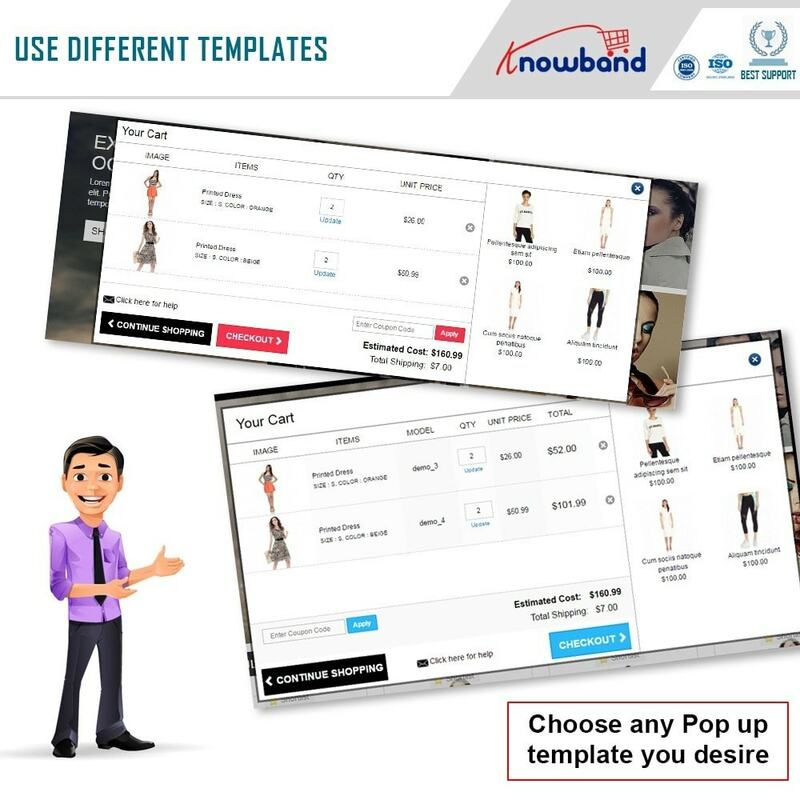 Prestashop admin can select any pop up out of 2 predefined designs. Prestashop Ajax cart popup adds a new well-organized shopping cart popup on your store. Prestashop Ajax cart popup is easy to use and configure on the Admin Panel. 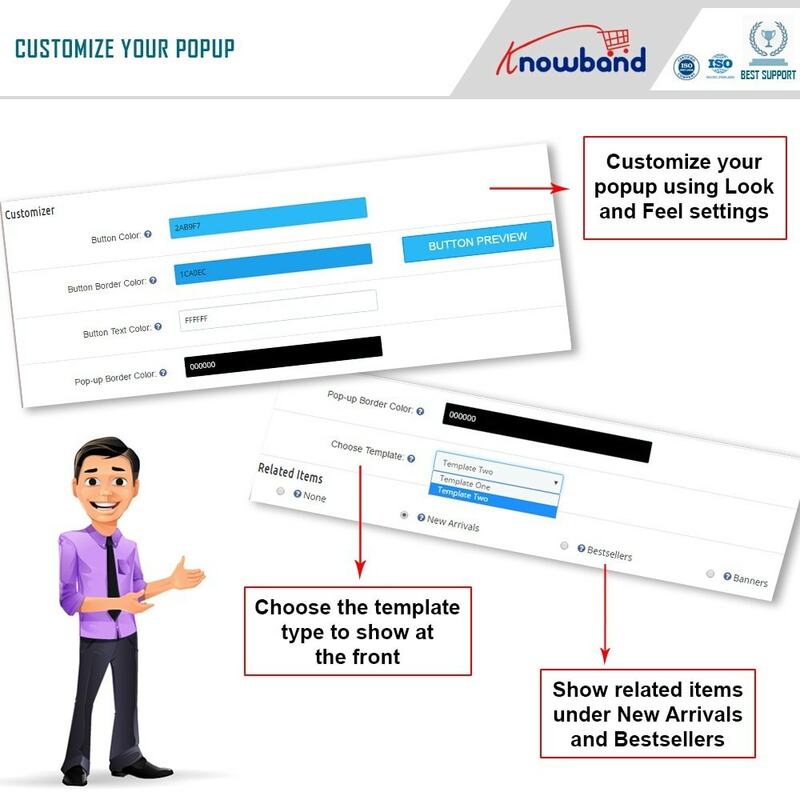 Admin panel controls for customizing the look and feel of pop up from backend itself. No need to edit the site files, use custom CSS to do the customizations. Mobile Responsive Layout. Adapts to most of the screen sizes. Option to disable popup for mobile devices. Prestashop Ajax cart popup works with all the PrestaShop themes. Prestashop Ajax cart popup does not conflict with other modules. View Cart products, Update cart quantity, Delete cart products, Apply coupon without going to cart page. View Cart estimated cost and shipping cost before going to the checkout page. Button to visit checkout page directly from the popup. Ajax enabled cart for effortless interaction. Mobile responsiveness makes it usable on mobile devices too. 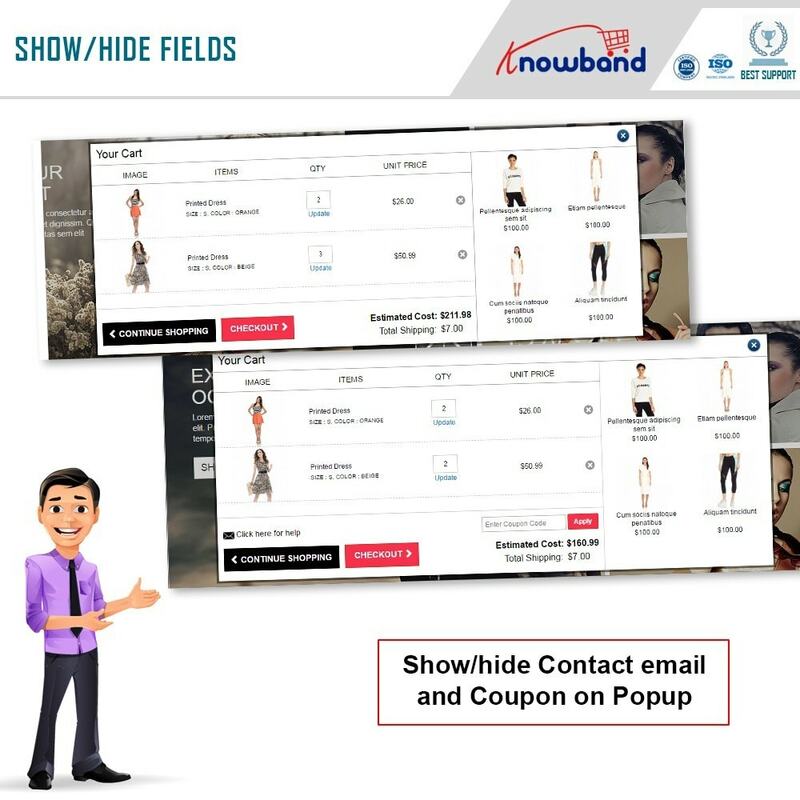 If you are using quick view feature on your store then we recommend to switch it off because, inside quick view popup, our module's popup design will not be responsive. You may also like our One-page checkout module, this addon offers faster checkout and increases conversion rates. 1. Click on add module button in top right corner of module list page. 2. Upload our module and click install against our module name. 1. Extract our module zip file on your system. 2. Upload module directory i.e. ajaxcart to _root_directory_/module directory on your server using FTP access. 3. Now on module list page in admin panel, click on install button against our module name.